10/31/2016 | YAKISHIME: TSUJIMURA Shiro — dai ichi arts, Ltd.
Japan is a land of Gods. Buddhist, Shinto, Protestant, and Catholic - gods from all walks of life charge every aspect of Japanese culture. People are not bound by any one particular religion or god. Buddhism will take care of your afterlife, Shintoism will bless your marriage, and Shinto priests won't mind if you bring your bride to a Christian church on your wedding day! There is a god for the kitchen, a god to help you pass exams, and a god for the bathroom ... name a place or an action, and there is a god for you! Tsujimura Shiro's karma with Buddhism has only increased since he turned to pottery. He studied in a Zen Temple in Nara from the age of 19 to 21, and now realizes his calling through his pottery practice. Here he gives us an abstract, minimalist Jizo, which is a Buddhist god statue made from stone. Jizo are very commonly found throughout Japan, tucked into outdoor corners or placed outside of temples. Like tiny monks, these stone sculptures watch over their environment and spread goodwill especially for children. In Japanese, they are called O-Jizo-san affectionately, or O-Jizo-sama, respectfully. Jizo are not the kind of gods that people look up to and worship, but rather stand much closer to people's everyday life. Tsujimura's Jizo is formed from Iga clay and features a natural ash glaze that cascades down the front of the work. It stands still with a high back, both hands folding in front, its featureless face turned toward the world. This face could be yours, or it could belong to someone you love and adore, or it could just be a friendly stranger. It reminds us of the 17th century monk-sculptor Enku's (円空1632-1695) many wood-carved Buddhas. These works are especially important for those beset with sorrow and grief, as their gesture and standing lend comfort and give blessing to all. This work is certainly a Jizo to Tsujimura San - he sketched two Jizo faces on the front of his work, and even on the box he has drawn five Jizo faces. This is a work to be treasured and loved, and will bring blessings to your life! 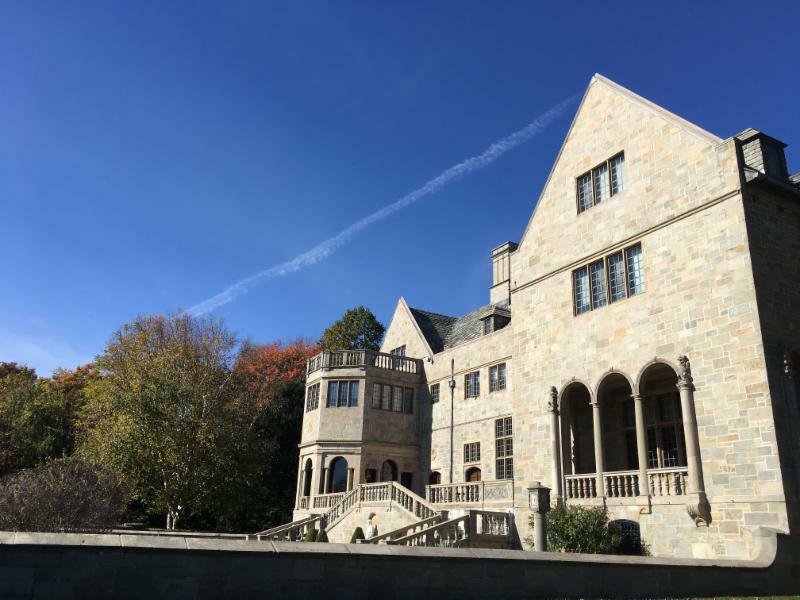 A nice day excursion to Fairfield University in CT from Grand Central station is only 80 minutes away, our friends Carol and Jefferies Horvitz ceramic collection is on view. Please check their website for gallery talks and lectures. Invitation to Eureka!, a ceramics and other fine arts silent auction to be held in a private home in San Marino (Los Angeles area) CA on November 6 from 3-7 pm. Tickets are limited to 100 patrons plus artists and may be purchased at this site. The auction benefits the American Museum of Ceramic Art which recently celebrated its 10th birthday and which is the largest museum in the US devoted exclusively to ceramics. DONT MISS IT!! !